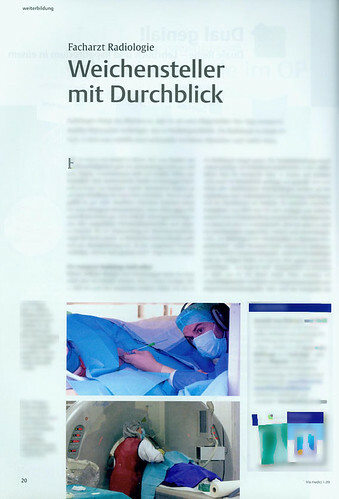 Employee portraits on the homepage of the Clinic of Radiology and Nuclear Medice of the University Hospital of Magdeburg. 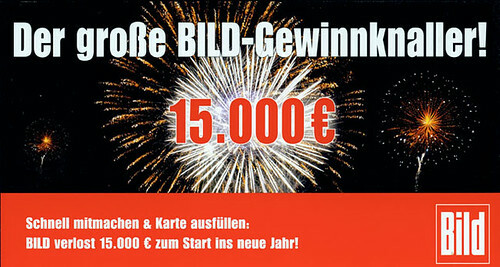 To view the page follow the link or browse http://www.med.uni-magdeburg.de/fme/zrad/kdr/mitarbeiter.htm. 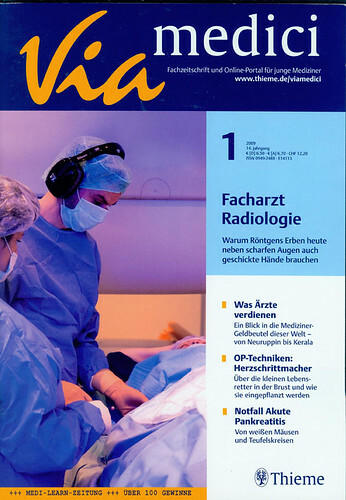 I provided the cover image and three more photographies for an article about “Advanced Training in Radiology (ger: Weiterbildung in der Radiologie) seen below. 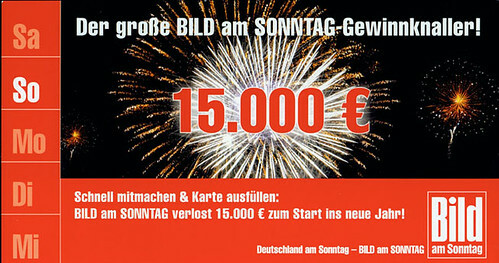 I provided the photographies of the fireworks seen below for Germany’s biggest daily and biggest sunday newspaper. 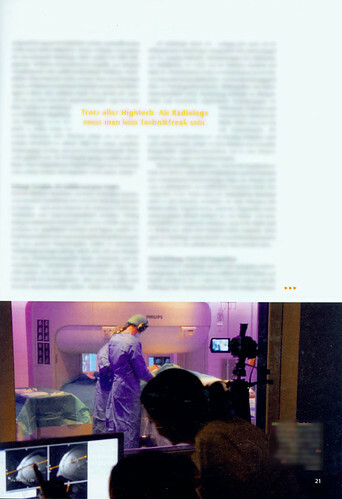 A photo of the hamburgian city hall taken by me was included in this widely known guide. You can see it here.